Summer is upon us and that means it is unsticking our thighs from plastic chairs season! 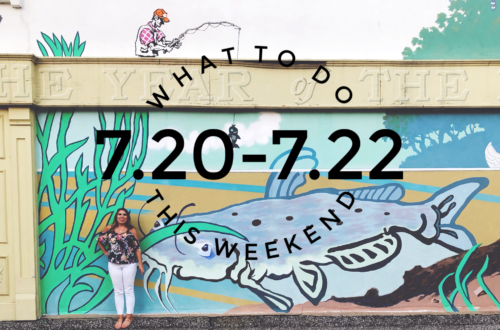 Whether you choose to spend your summer outdoors or inside, we’ve got the perfect events going on this weekend sure to make you everyone happy. 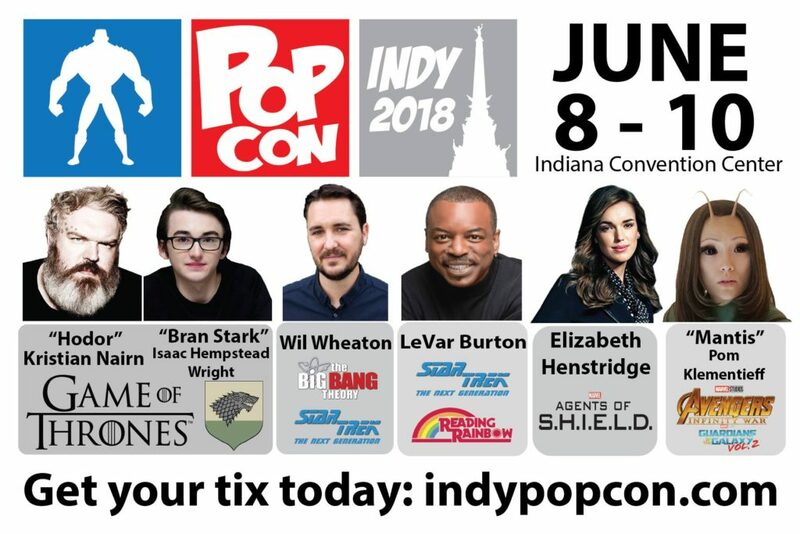 Join the 5th Anniversary of Indy PopCon on June 8th, 9th, 10th 2018 at the Indiana Convention Center, sure to be the best geek weekend every year! The pop convention takes place at the Indiana Convention Center in Indianapolis, Indiana. The event starts at 2pm on Friday. 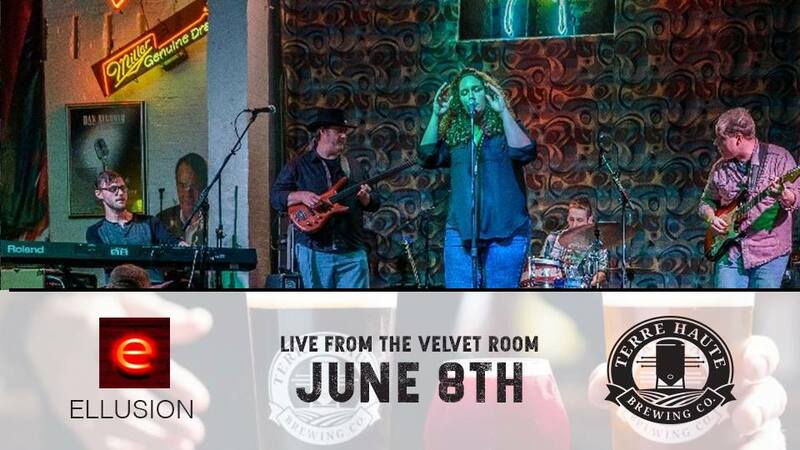 Live from the Velvet Room at the Terre Haute Brewing Company this Saturday beginning at 7:45pm, we have Ellusion taking the stage! 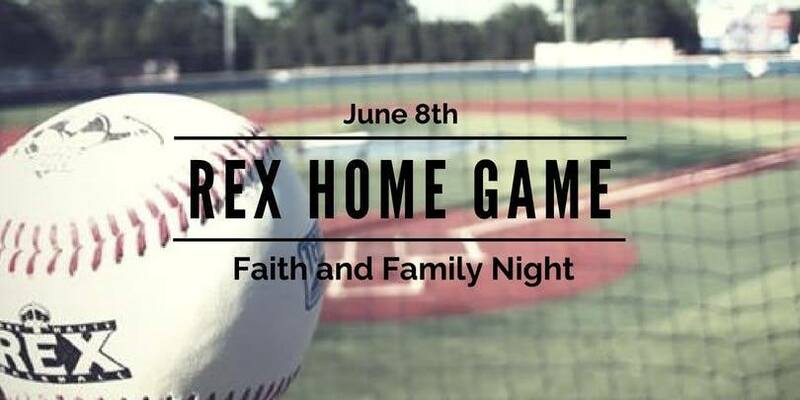 Get your group together for our Faith and Family Night for Rex Baseball! We welcome all Church groups to attend this special event. Make a fun outing for your church, youth group or families. The game is this Friday at 7:05pm at Bob Warn Field at Sycamore Stadium. You can buy your tickets now through Eventbrite, and as always, tickets are available at the gate. ZOOBILATION IS INDIANAPOLIS’ PREMIER BLACK-TIE FUNDRAISER AND THE BIGGEST PARTY FOR ANIMAL CONSERVATION IN THE CITY! Thanks to our friends at Bose McKinney & Evans LLP, we’ll have another outstanding evening featuring rocking musical groups scattered throughout the Zoo. And of course, Zoobilation wouldn’t be complete without premium wine, festive specialty drinks and more than 70 indulgent restaurants with marvelous cuisine. Click here for the Zoobilation map. The theme for 2018’s sold out event focuses on the Zoo’s newest exhibit — our troop of highly social, swinging and splashing monkeys called long-tailed macaques. These monkeys live in dense forest areas in Southeast Asia and that’s right, they dive and swim. 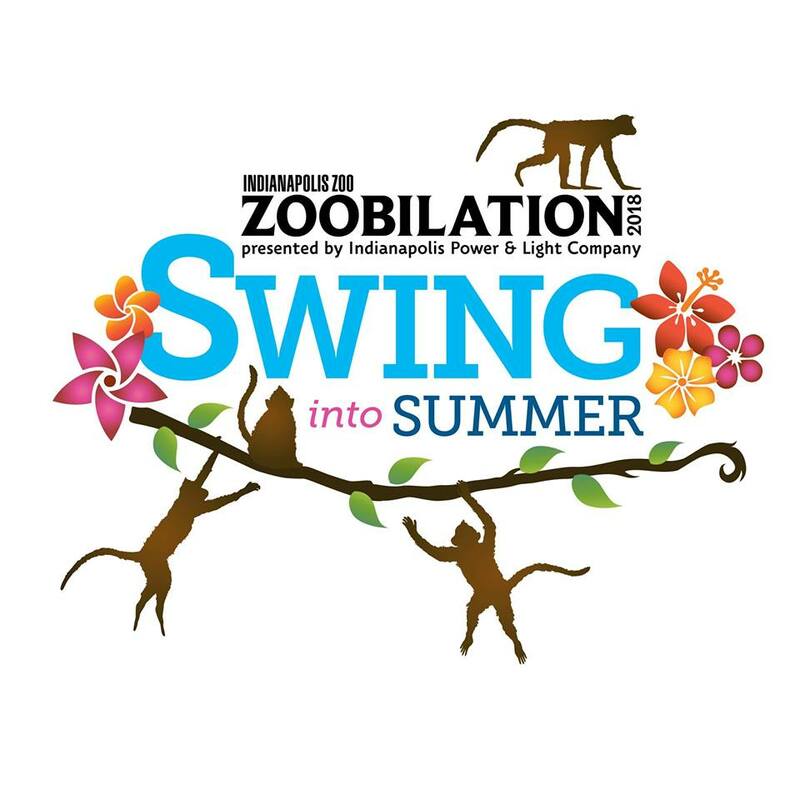 Secure your plans now to swing into Zoobilation and make a splash, because you won’t want to miss Indy’s hottest ticket in town! Zoobilation is also a party with a purpose! As a privately operated, nonprofit organization that receives no direct tax revenue, the Indianapolis Zoo relies on fundraising events like Zoobilation to help advance its animal conservation mission. As the Zoo’s largest single-day fundraiser, the money raised through Zoobilation ticket sales and sponsorships help provide food and care to the Zoo’s 1,200 animals and 34,000 plants, as well as funding for local and international conservation efforts. 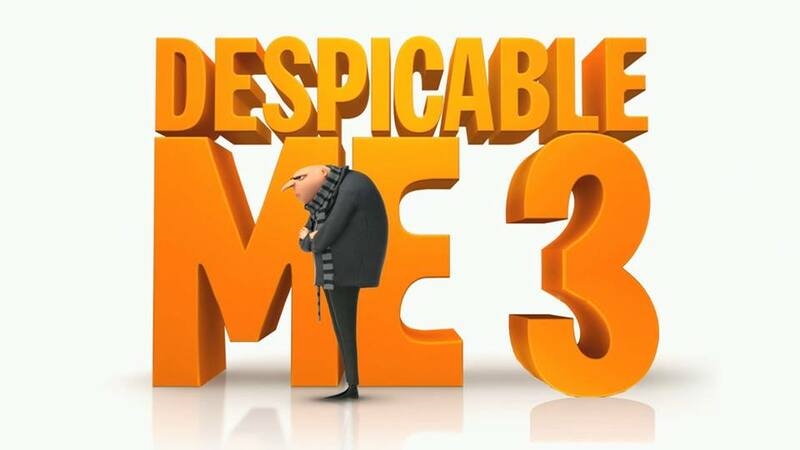 Enjoy Despicable Me 3 this Friday evening at 7pm outside at Hawthorn Park. This week’s Movie in the Park is sponsored by Crane Credit Union. Come workout, shop or do both June 8th at our fave workout spot, Pure Barre in Bloomington, IN. 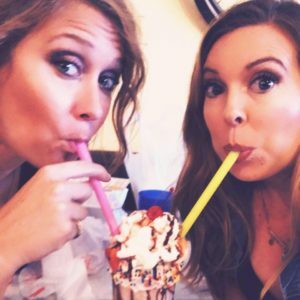 A Tall Order Shop is hosting a Shake & Shop event where they’ll have their entire shop there and classes will be available for all!! The event takes place this Friday at 12pm. 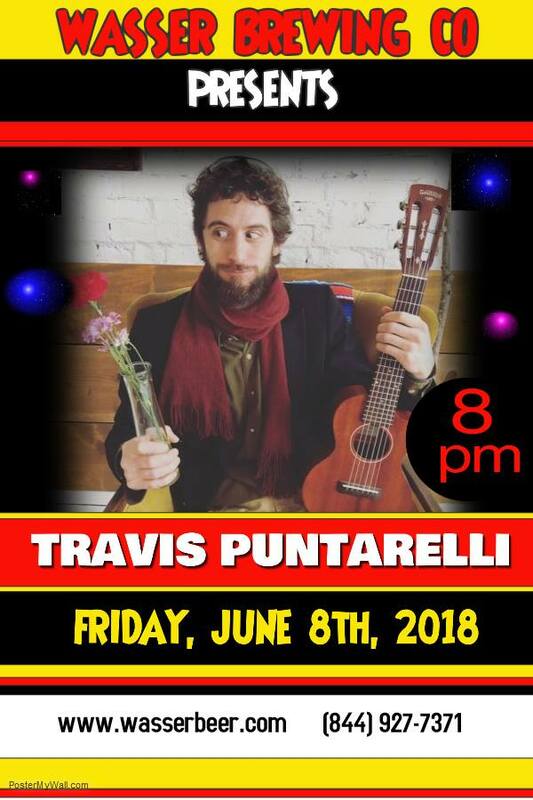 Head to Greencastle, Indiana this weekend to catch Bloomington local singer-songwriter and acoustic storyteller, Travis Puntarelli at Wasser Brewing Company. He will take the stage from 8pm-11pm. 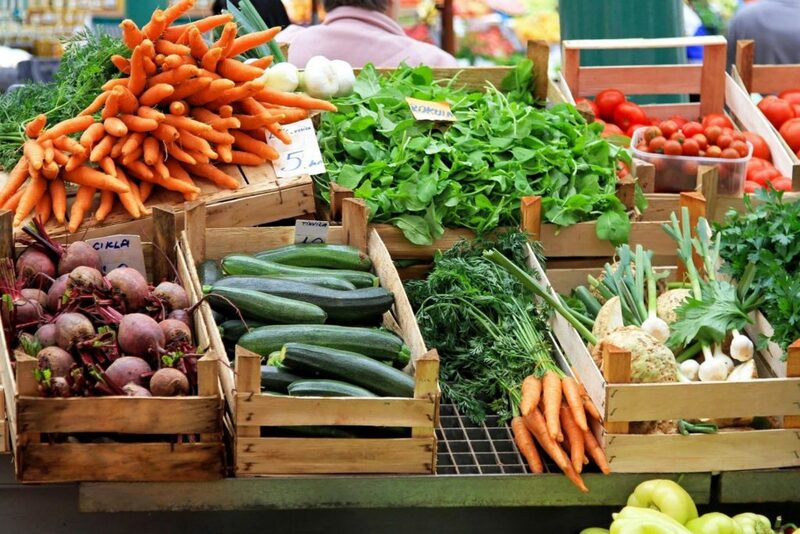 Stop by the Meadows Shopping Center EVERY Saturday for the Terre Haute Farmer’s Market. They will take over the south end parking lot from 8am-12pm. 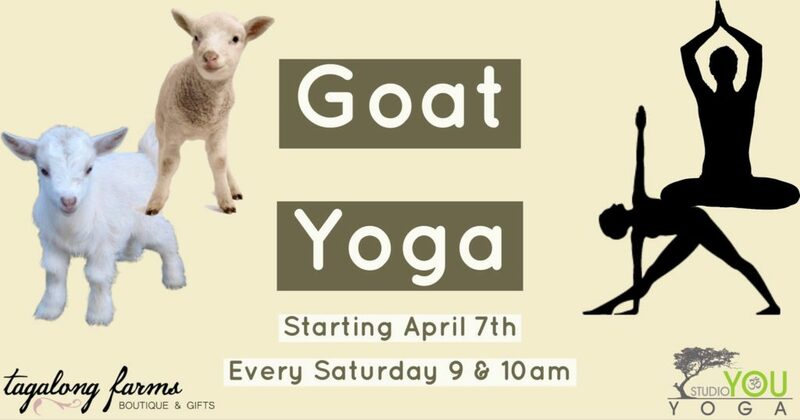 Studio You Yoga and Tagalong Farms are super excited to offer the much anticipated Goat Yoga to our community. These amazing classes start April 7th through September / October 2018. This class is for all levels even first time yoga students. 251 E. Jefferson Street Franklin, IN 46131 Come join the band Mullet Over for a night of 80s music under the stars, and enjoy some drinks with your friends! 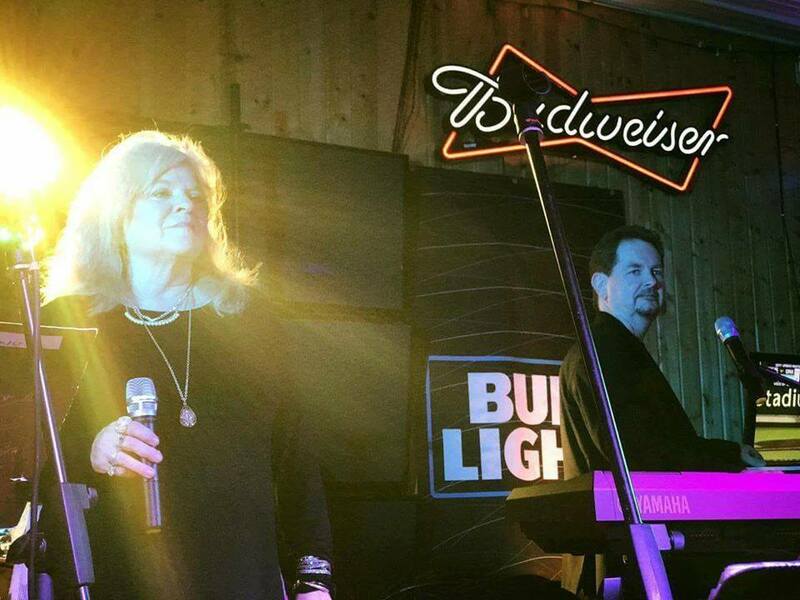 The band will be playing at TJ Haase Winery in Clinton, Indiana from 8-11pm. Mark your calendars for Saturday, June 9 for the Run with Heart 5k! 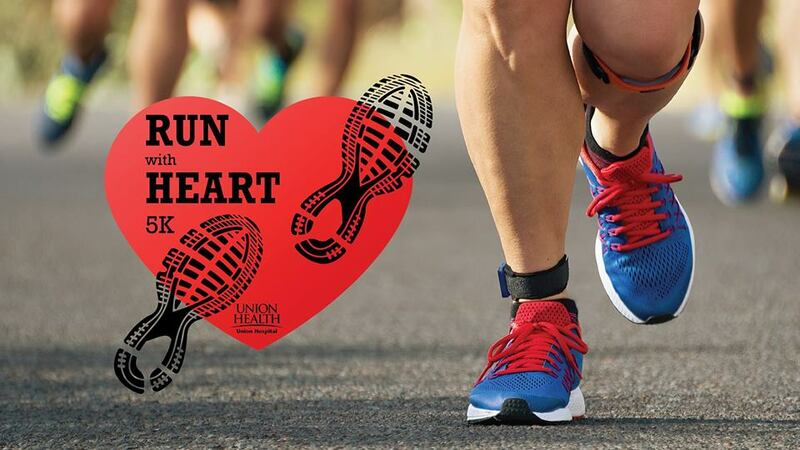 The Union Hospital ‘Run With Heart 5K Run/Walk’ encourages people of all ages and fitness levels to get outside and be active to promote physical activity and heart health. All proceeds go to the Vigo County School Corporation’s Backpack Program. Get active to support your health and a great cause in the community! *t-shirts are only guaranteed if you are registered by Thursday, May 17. Packet pickup and race day registration will be located at ISU Memorial Stadium beginning at 8AM. This is an all-ages event with two stages, Family Fun Zone, hundreds of vendors, food, and drink! Back by popular demand! 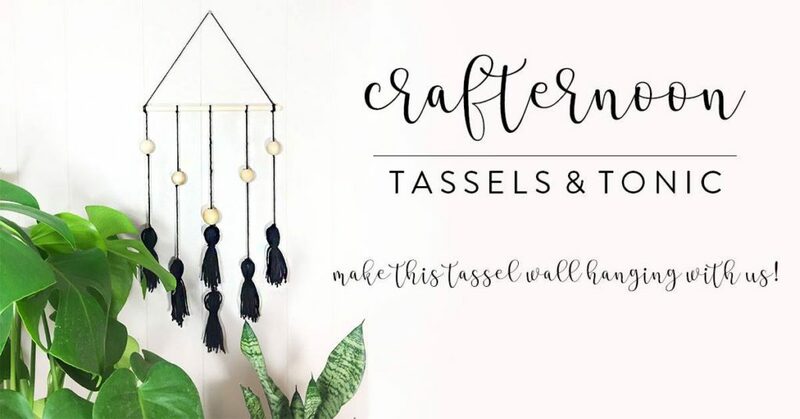 Homespun: Modern Handmade is hosting another Crafternoon: Tassels & Tonic! Amanda has a fine art degree from Herron School of Art & Design. And when she’s not photographing product for our shop, coordinating our events, booking our gallery space, or writing our weekly blog, she still finds time to practice her artistic skills in drawing, printmaking, watercolor, and photography (to name a few). To see more of Amanda’s work outside of our shop, you can follow her on Instagram here. 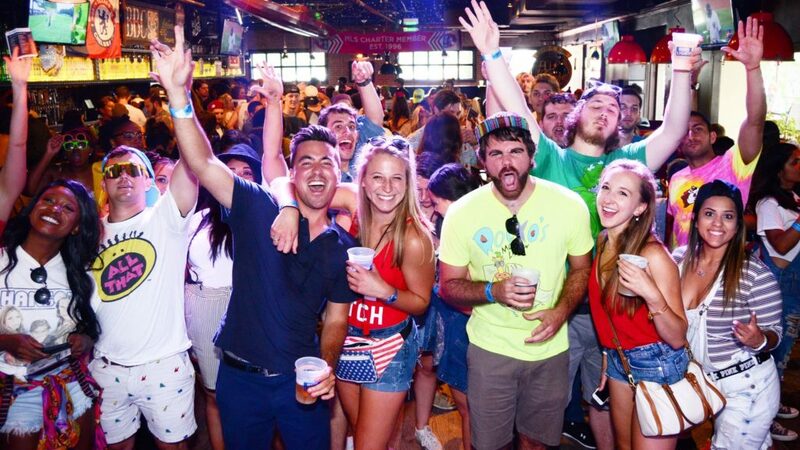 We’re taking the best bars in Broad Ripple back to the 90’s!
? Fun crowd of 90’s kids getting jiggy with it! > Make it to every one for the T-shirt! Summer Kick off Show #2 with Jake at Tolly’s Bar & Grill this Saturday from 8-11:45pm! 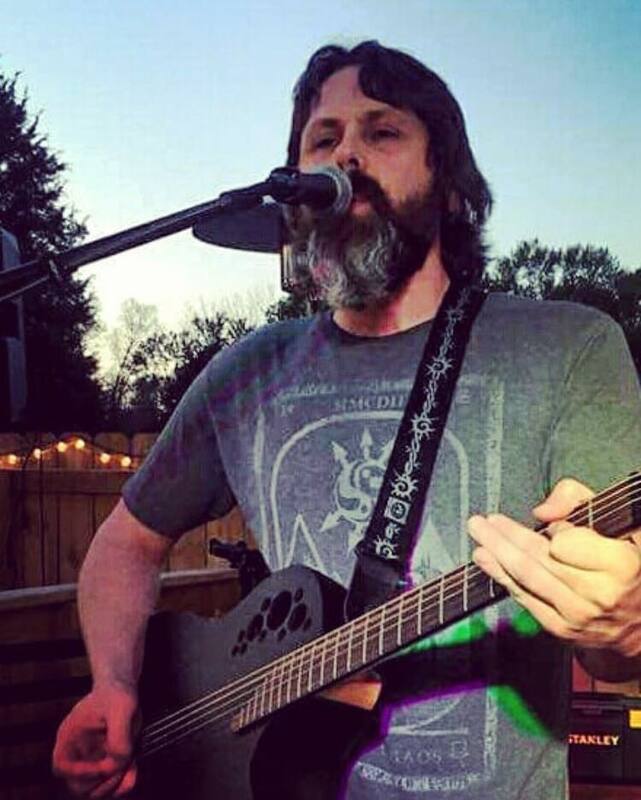 Enjoy the acoustical rhythms in the beer garden. 80s, 90s, hip hop, rock, country……what can’t this guy play? 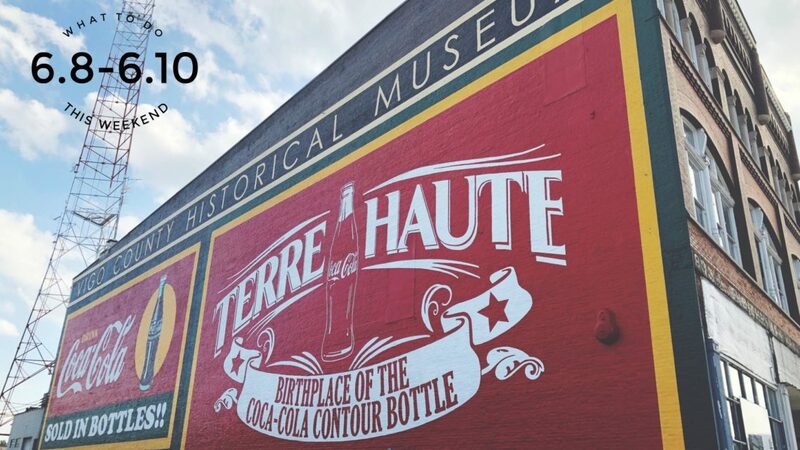 Big Fun at the Terre Haute Brewing Company! They will be rocking the house June 9th starting at 9pm! 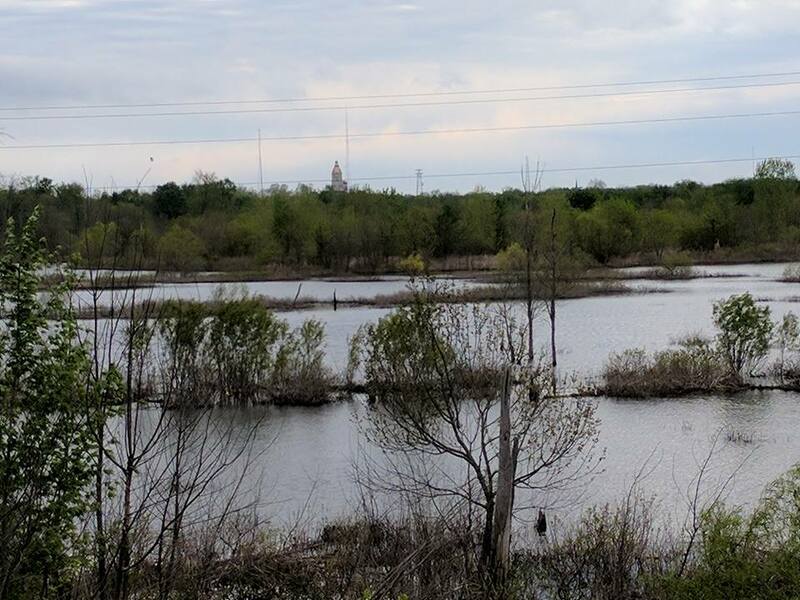 Bring the family and enjoy the Wabashiki Fish and Wildlife Area this Saturday from 1-4pm in West Terre Haute. There will be target shooting, archery and fishing. Guided bird hike or learn about wildlife photography. Watch how pointers and retrievers work during hunting dog demos. Sample wild game and fish at our Field to Fork tent. 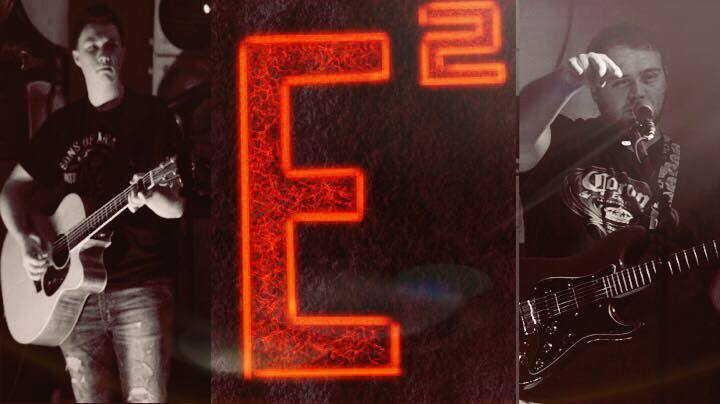 WaterTower Estates presents E Squared! This up and coming duo plays a wide variety of crowd pleasing songs that your sure to love! This is not one you will want to miss! 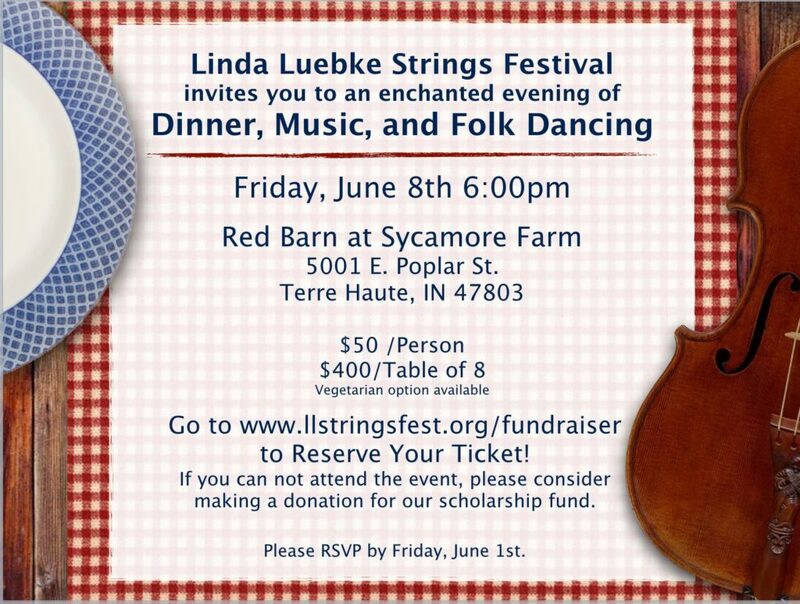 Music begins at 6pm. The 5th Annual C.A.R.R. 5k (that’s Camo America Rainbow Run) will take place Saturday, June 9th at 5pm in memory of Keith Carr. Andrew Keith Carr was a jovial, fun-loving 21 year old from Greencastle, Indiana. He was preparing for his junior year at Marquette University in Milwaukee, Wisconsin, majoring in Supply Chain. While studying abroad for a summer term in Rome, Italy, Keith died in a tragic accident on June 11th, 2013. A memorial race, the C.A.R.R. 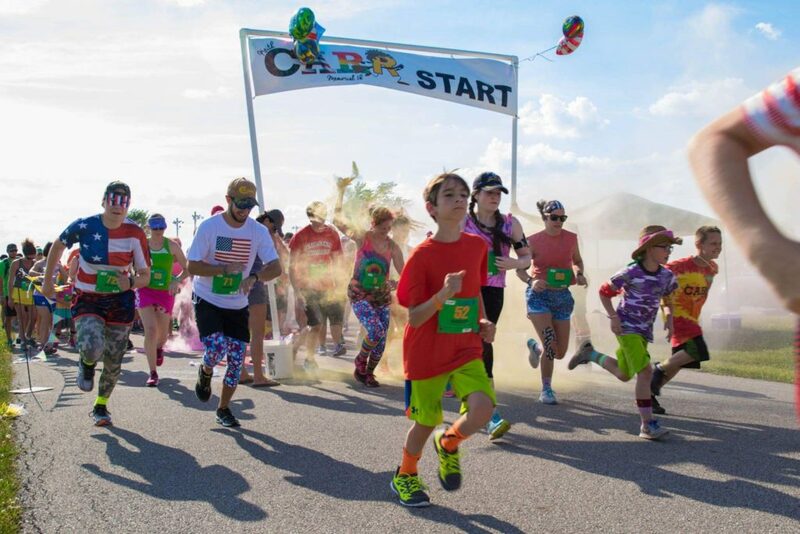 5k was created in his honor, with over 200 participants in its inaugural event in Greencastle, Indiana in June of 2014. Among the things that made Keith a unique guy, he was particularly fond of camouflaged apparel, anything American themed, and colorful attire to match his colorful personality, hence the C(amo). A(merica). R(ainbow). Run. Pay tribute to Keith’s unique sense of style by running, walking, trotting, or strutting 3.1 miles sporting any number of his favorite themes. Costumes/outfits are highly encouraged and combination themes may even earn awards. In the spirit of Keith, please wear something that would put a smile on his face, if you feel so inclined (and we hope you do). A Kinetic Change, Inc. is the official benefiting charity for the 2018 race. AKC aims to increase community physical activity by creating recreation facilities, organizing fitness events, and motivating you to convert your potential energy into kinetic energy with movement. The 2018 5K will be an evening event at Deer Meadow Elementary School and the course will once again be a combination of the People’s Pathway and closed roads through scenic Greencastle! Get ready for our fourth annual Dogapalooza on Sunday, June 10, at 12pm at the brewery. The event will serve as a dog adoption drive with dog brew proceeds benefitting local non-profit Paws and Think’s Youth-Canine Programs. They’ll be here from 2pm-6pm, and attendees are encouraged to bring supplies to donate and come ready to mingle with some of the adorable Youth-Canine graduates up for adoption. You’ll also meet their therapy dogs and learn more about the wonderful work they do with at-risk youth in Indianapolis. We’ll have a silent auction with plenty of doggie baskets! In addition to the adoption drive, we are excited to once again partner with local artisan meatery Smoking Goose Meatery for the return of Flat12 Paws Dog Brew! 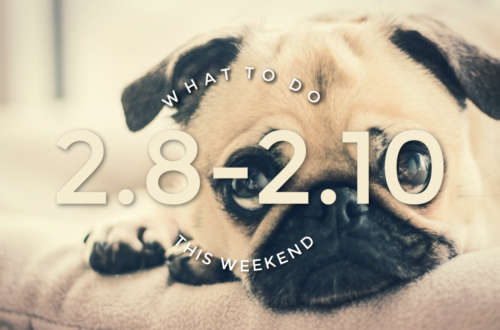 Well-behaved pets are welcome to attend the party. Stop by for one of our most popular events of the year and share a pint on the patio with your best friend! 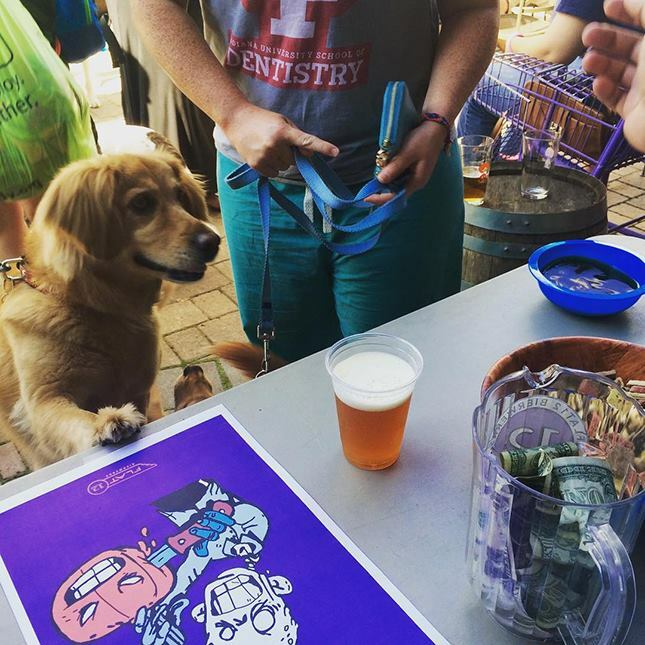 Flat12 Paws Dog Brew will be available at the taproom periodically throughout the summer. Hoagies and Hops will be selling Smoking goose pig ears $5 while supplies last and is donating 50% of their dog treat sales to Paws and Think. This (non-alcoholic) brew is made with the wort (the liquid extracted from the mashing process) from the Indy brewery’s flagship line-up of Upside Down Blonde, Pogue’s Run Porter, Walkabout Pale Ale and Half Cycle IPA. The fresh wort, containing simple sugars and trace amounts of protein, is then blended in a keg with the Smoking Goose broth, a blend of high-quality bones and trimmings containing calcium, magnesium, and other vitamins and minerals. Brewer’s yeast is also added–a great source of vitamin B complex– making a brew chock-full of healthy vitamins and minerals, and a tasty treat for man’s furry friend. Grab your running (or drinking) buddies and come join Bourbon Street Running Club for our first annual “Hops and Stops” Running Scavenger Hunt. 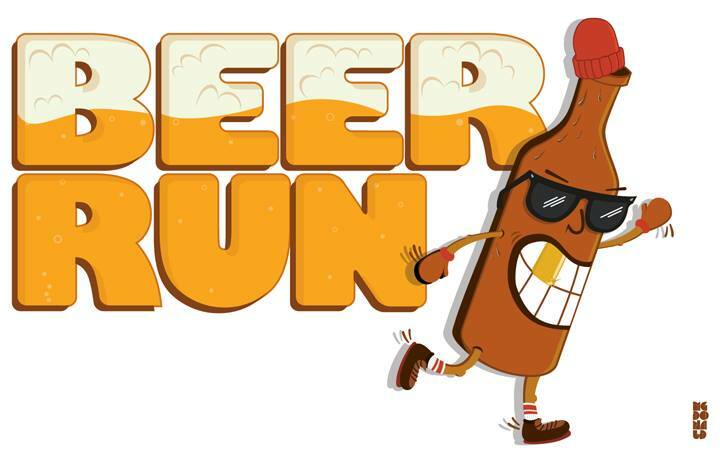 Over the course of two hours, teams of 2 will walk, run, and brewery crawl their way through downtown Indianapolis over a course of 5ish miles, chasing running and beer themed clues. Points are earned for finding the correct location, creative photos, and returning on time. Bonus points will be given out to the best team costume so get creative and dress to impress. Participants can walk or run between locations. Athletic Annex gift cards and brewery swag will be given to the top placing teams! 1. Check in at TwoDEEP and receive your list of clues. If you don’t have a partner, we’ll find you one. 2. Teams will all depart the brewery at 12:30p. 3. Teams will determine their route on their own. 4. Teams must return to the brewery by 2:30p. Points will be deducted from late teams. 5. Grab your FREE beer and hang out while points are tallied. Brunch without booze is just a sad, late breakfast. 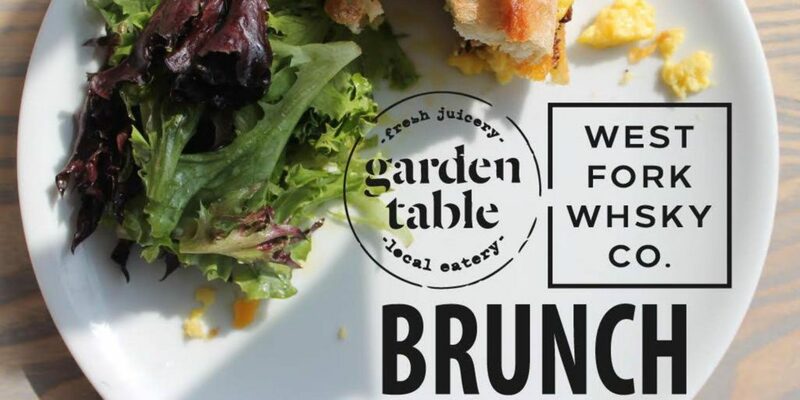 You won’t want to miss this new brunch series featuring Garden Table and West Fork Whiskey! 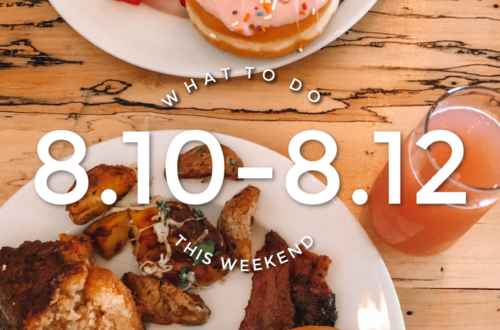 The brunch takes place at West Fork Whiskey Co. in Indianapolis from 12:30pm-2pm. Join us for a head-to-toe practice of deep stretching poses which focus on breath, sensation and stillness. Using aromatherapy oils designed to move stagnant energy, detoxify the body and calm the mind, will help to foster equilibrium and restoration of the body. A long final relaxation allows the body to assimilate this healing practice and align with your core being. 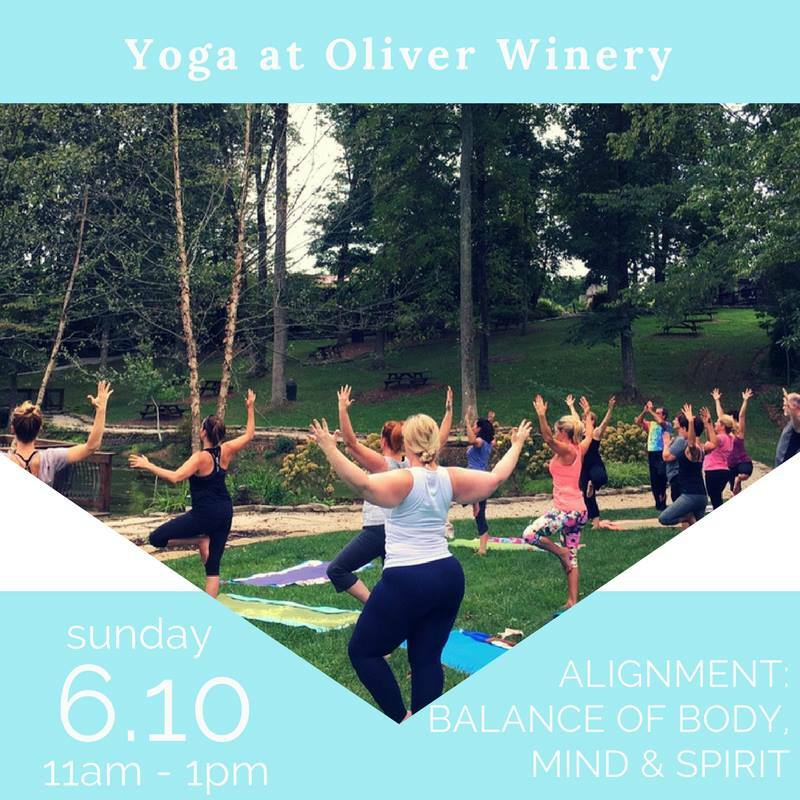 Come unwind in nature this summer with yoga at Oliver Winery! Join Matece Skow select Sundays for a special 75 minute yoga class followed by a wine tasting with delicious noshes and nibbles. Each uniquely themed class will provide gentle strengthening and stretching, mediation and deep relaxation. Beginners are encouraged to join! Please bring a yoga mat, water bottle and wear comfortable clothing. 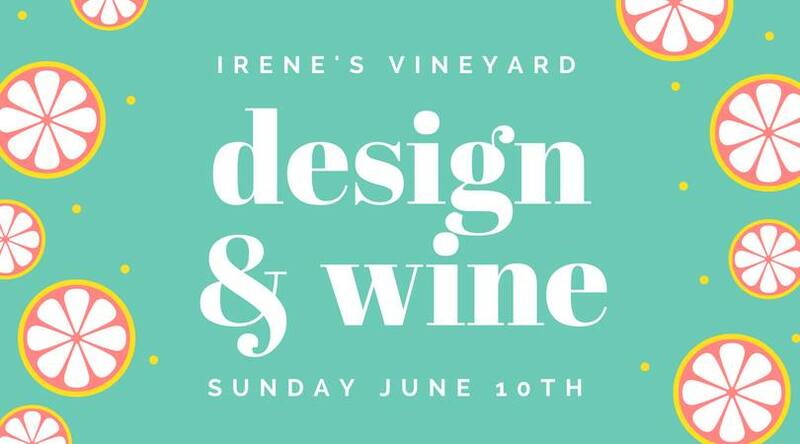 Light snacks will be provided along with the wine tasting. If you would like to enjoy lunch on the beautiful grounds of the winery, please bring your own. For more information, call (408) 797-5656. In case of inclement weather, we will move the class inside. We suggest arriving at least 10 minutes before to check in and prepare for class. Call will begin promptly at 11:00am.